Looking for a Christmas or birthday gift for your child that won’t end up forgotten a month or two later? We have a gift he or she is guaranteed to use all year long (and no, it’s not underwear!). 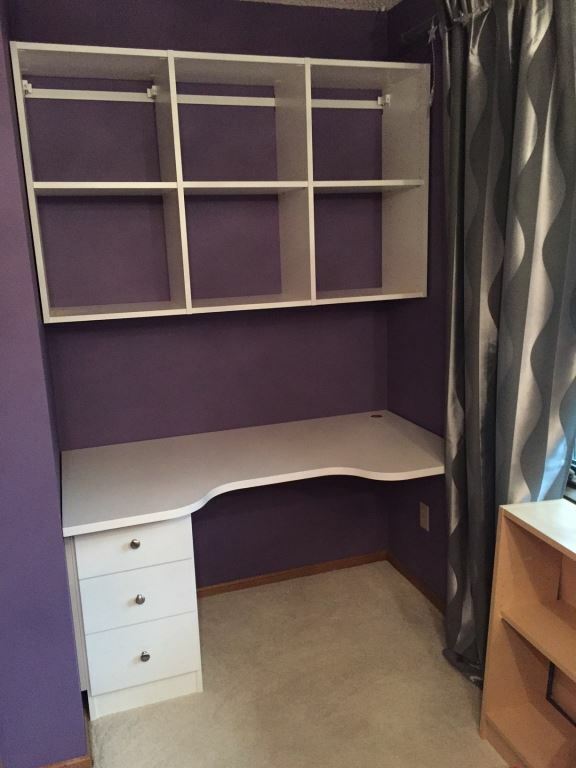 Consider giving the gift of a built-in desk. Having a desk space of their own will help your child stay better organized, provide a designated study spot or just be a space of their own to enjoy for years to come. 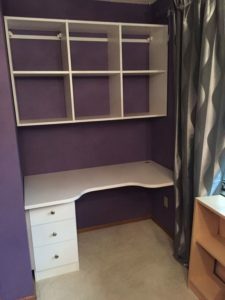 Better than a stand alone desk, a built in desk is custom designed to perfectly blend into your child’s room, taking up less space than a stand alone desk, and can be designed with the exact style and features you’re looking for. Paired with some cool desk accessories, this is a great gift, especially for a slightly older pre-teen or teen-aged child who might be hard to buy for. Get your gift shopping started today! 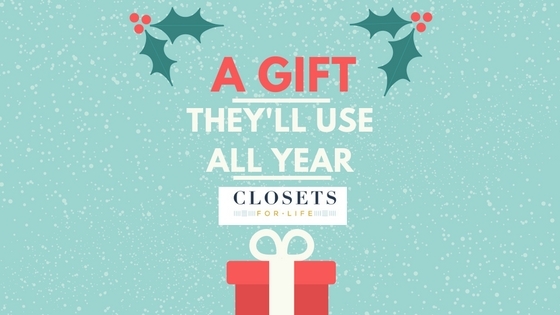 Contact Closets For Life today to schedule a free in-home consultation. We’ll come to your home to measure your space and discuss your needs and ideas. Within two days, you’ll have a free design and price quote. Once the design is finalized, all pieces are custom designed and are generally installed within two weeks. Let us help you design a gift that will be enjoyed to years!